With increasing public health initiatives, ergonomics is a top issue for many companies. Repetitive motion injuries (RMI) are a major damper in productivity, and who wants to work at an uncomfortable desk? 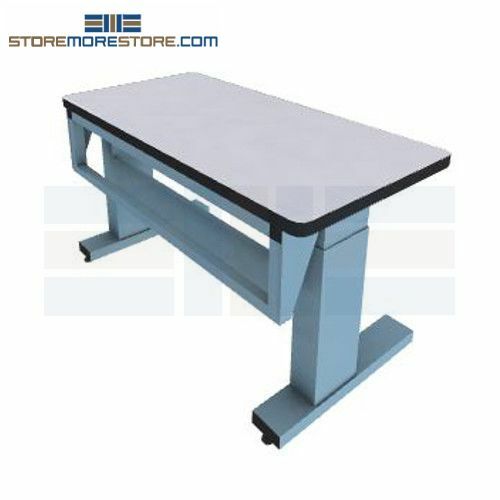 Motorized height adjustable tables provide an ergonomic work solution with the flexibility to accommodate multiple users. This is especially useful for technical work with rotating shifts since each user has unique needs. With three programmable height settings, users simply push a button to set it up at the perfect height every time. Now employees don’t have to bend and reach across their desks. They can also change the workbench height if needed depending on the task. For technical applications, the motorized height adjustable tables are also available with ESD worksurfaces for safe electronics handling. 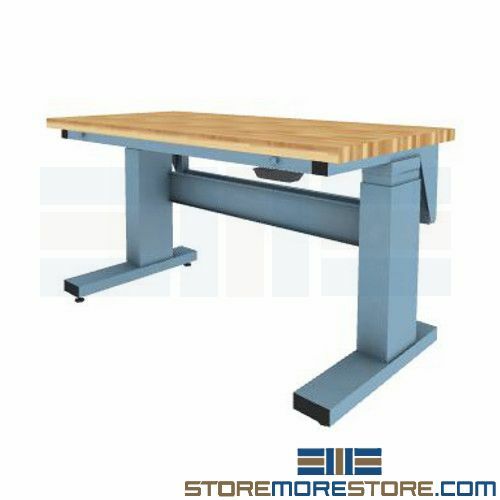 Motorized height adjustable workstations are available to buy online and ship within 7 to 10 business days. Free dock-to-dock shipping included. If you need any assistance or just want some help picking the right solution for you, please call us at 1-855-786-7667.